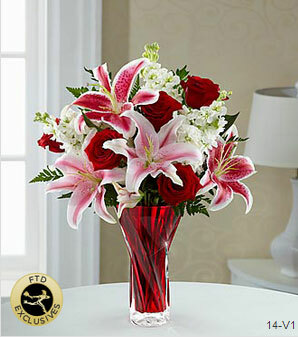 As the oldest floral shop in Boise, Johnson Floral has a longstanding historical position in the state of Idaho. Founded in 1923 by Iner Johnson’s uncle, a Swedish immigrant, the company began as a greenhouse located on Fairview Avenue. Iner Johnson became owner of the business in 1940 and relocated it to 9th street in downtown Boise. This transition marked the birth of Johnson Floral Company as a floral shop. When Iner Johnson sold the business in the 1950’s, it became Richards Johnson Floral. The business changed ownership again in 1986 and the Johnson Floral Company name was reinstated. In 1992, Johnson Floral Company moved from downtown Boise to a Bannock Street. Then, the floral shop changed ownership in 2001 and moved to the Ashland Business Park on Glenwood Street in 2004. Johnson Floral Company changed ownership once again in 2014 and became Johnson Floral & Décor. Shortly thereafter, the floral shop moved to the Plantation Shopping Center at 6712 N Glenwood St.
Aside from being the longest standing florist in Idaho, we provide breathtaking floral designs, unique gift items, and distinctive décor products of exceptional quality and workmanship. We commit to helping our customers connect with the important people in their lives. 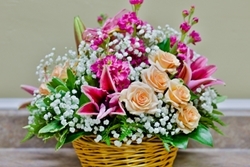 When you visit our flower shop, you will receive prompt personal attention. As a result, expect consistent professional products and the most beautiful and distinctive floral designs, gourmet gift baskets, plants, and décor items.